Cliff and I were working on a 1,000-piece puzzle. On this night, he passed out on the couch early, leaving me to battle my section of the puzzle alone. When I looked up at the clock, it was 1:38 am. My eyes were starting to play tricks on me, and it was driving me crazy that I wouldn’t find that one last piece to complete this corner. 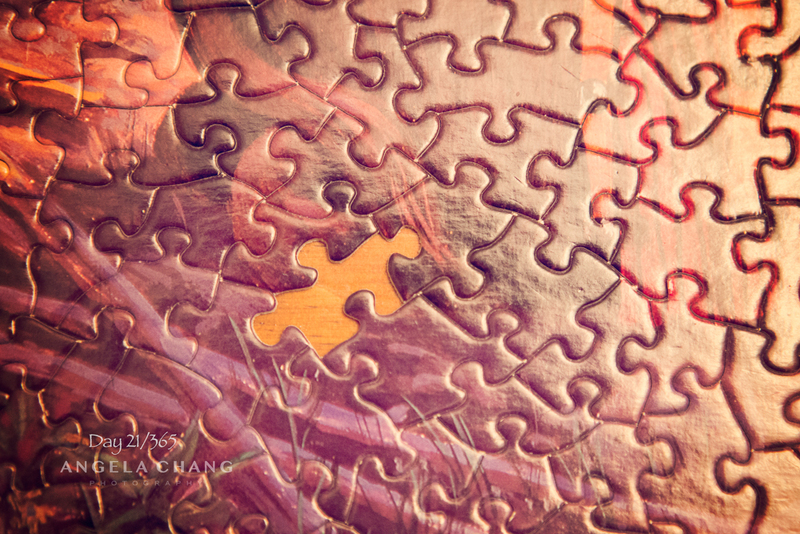 This entry was posted in 365, Photography and tagged 365, missing piece, puzzle by angelasaito. Bookmark the permalink.